The end of global conflict in 1918 also marked the beginning of many nation states in Europe. How has this formative period been represented by the cinema of these nations? How can those representations be thought of alongside a shifting concept of national identity? Dr. Andrea Virginás of Sapienția University in Romania joins a group of leading international scholars on the film of Central and Eastern Europe, the Balkans, Turkey, and the Baltic and Nordic regions to discuss how 1918 and its aftermath have been interpreted in feature films, documentaries and archival footage over the last 100 years. The conference, entitled “1918: A New Europe on Film” and held in the welcoming premises of the British Library, is prefaced by renowned film critic and programmer Peter Hames. Please download the full conference programme HERE. The event is organised in collaboration with Professor Dina Iordanova, University of St Andrews, and Professor Ewa Mazierska, University of Central Lancashire. 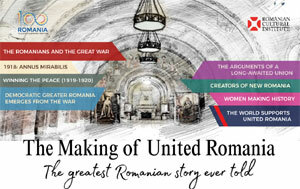 With the support of the Romanian Cultural Institute, Yunus Emre Institute, The Finnish Institute, The British Croatian Society, and The Embassy of Latvia. 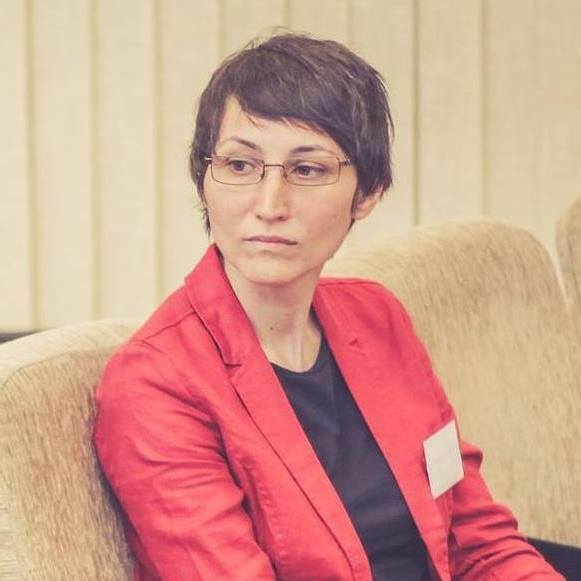 Andrea Virginás is Associate Professor in the Media Department of Sapienția University (Cluj-Napoca, Romania), where she teaches courses on communication theory, narratology, film theory, classical film history and contemporary film genres. She holds a BA in Hungarian and English Studies (Babes-Bolyai University, Romania, 2000), an MA in Cultural and Literary Theory (Babes-Bolyai University, Romania, 2001), an MA in Gender Studies (Central European University, Hungary & New York State University, 2002) and a PhD in Literary and Cultural Studies (Debrecen University, Hungary, 2008). She was a visiting professor at various universities in Romania, Hungary, Sweeden and Ireland. Her research concerns film cultures in mainstream and peripheral contexts, feminist film theory, cultural trauma theory, analogue and digital media theory. She is a member of the board for Film Studies at Cambridge Scholars Publishing (2018–) and at TNTeF e-journal of Gender Studies, University of Szeged, Hungary (2010–). Besides Cine-versity (Creative Europe– MEDIA/EACEA), she is currently a member of the research project ‘Reinterperting intermediality in contemporary film: changing forms of liminality’ (Romania) and represents Sapientia University in EUFA/The European University Film Awards (Hamburg Film Festival, European Film Academy). Tickets: £15.00 full price; concessions available. Please book HERE.